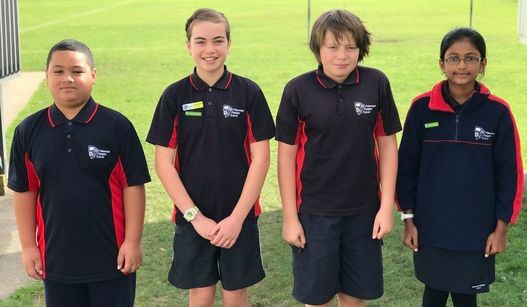 At Pakuranga Heights we have a smart, comfortable uniform which is compulsory for all students. All children must wear a school sunhat when they are outside during term 1 and term 4. The school uniform can be ordered online at the following website and delivery to your home is expected within five working days for standard items. The school recommends orders are made at least two weeks prior to starting school. The culottes and the school jacket are not available online but can be purchased from the uniform shop, see below for opening hours. School hats and socks can also be purchased at the school office. Students are permitted to wear a navy blue, long sleeved garment or navy tights underneath their uniform if they have strong religious beliefs or customs which require it. Our sports uniform is now compulsory and must be worn when children are exercising. The uniform consists of a house t-shirt and sports shorts which are available on the website. During summer months students are expected to wear plain black sandals without socks. In the winter months students must wear plain black shoes with the navy socks available at the school office. These socks are not available online and must be purchased from the school office. ​Girls may wear navy blue stockings or tights underneath their skort or culottes in the winter months only. Leggings are not permitted. Students are encouraged to wear plain hair ties that are the same colour as their hair. If students choose to wear scrunchy-type hair ties or headbands they must be navy blue or red.